The English Premier League match of Burnley Vs Manchester United will host by Burnley at this Sunday, 23/04/2017. First encounter among the of the season were finished after drawn at Manchester home. 32nd match for United and 34th match for Burnley will bring at field on 19:15 BST or 13:15 GMT today. Also the field are fixed at Turf Moor (Burnley), while Burnley will host the games. 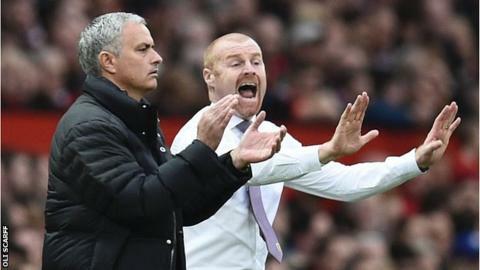 77 head to head matches has been played among Burnley and Manchester United, with the last match of this Premier League meeting they have got 15 drawn. But Manchester United won 33 matches where Burnley have 29 wins. In last 5 encounter of them, United won 2 matches, 2 were drawn and another won by Burnley. United are on 5th place from 31 matches while they have 16 wins and 12 drawn but only conceded 3 defeats in the whole season. Other hand opt Burnley have 10 wins, 6 drawn and 17 defeats for their 36 points from 33 league matches. The Red devils are without the talisman Ibrahimovic today, but they are unbeaten in the premier league since October. The red devils have also been stronger away from home, than old Trafford. But they face a Burnley side that has collected points from the likes of Chelsea and Leicester. So i back this one for a draw. Even though it’s a tough match for the red devils if history is anything to go by. That’s for sure. E Bailly, L Shaw, M Fellaini, Paul Pogba, C Smalling, D Blind, W Keane, Anthony Martial, S Romero, J Mata, D de Gea, W Rooney (captain), M Depay, Phil Jones, A Valencia, J Wilson.